Bugatti Chiron Interior, Sat Nav, Dashboard | What Car? 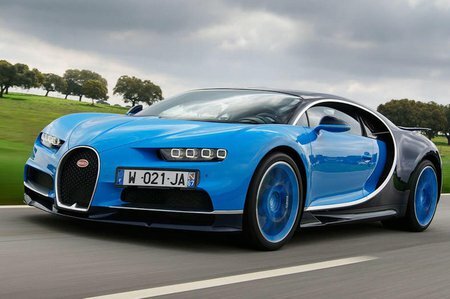 Bugatti prides itself on the fact that the Chiron is, ergonomically, as sound as almost any other VW-group product, so it should be no surprise to find that it’s relatively easy to get in and out of. There are conventional doors, not scissor or dihedral ones like you’d find on some rivals. And once you’re inside you’ll realise that the driving (or passenger seating) position is good, too. The seats are electrically adjustable and although they’re not wide, they’re perfectly supportive. 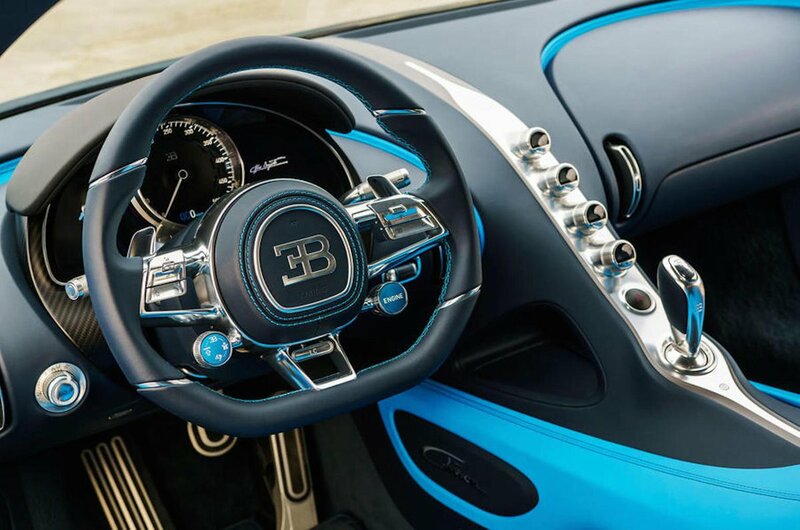 The steering wheel adjusts for reach and rake through a large range and the dials behind it are clear analogue ones; Bugatti has resisted the VW-group trend towards digital dials, because it likes to think that, in 50 years time, when the Chiron is at a car show and kids are peering through the window to see ‘what it’ll do, mister’, they’ll read that it has a 500kph, or 300mph, speedometer. Visibility from inside is less impressive. 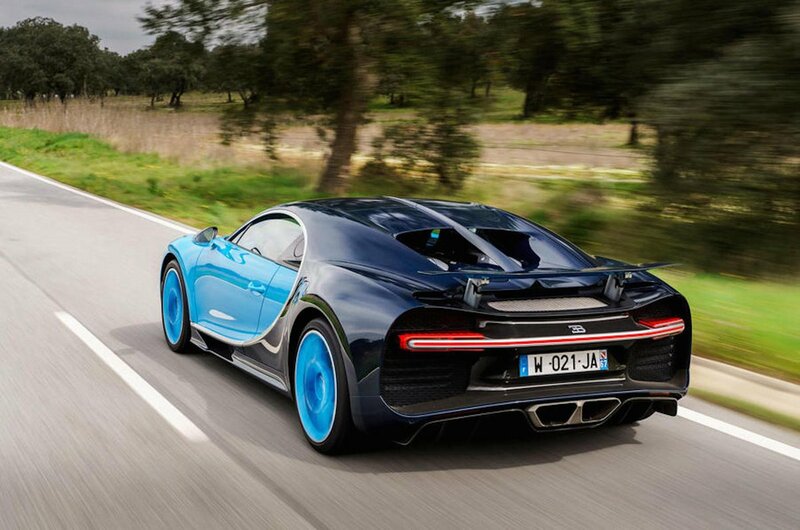 The Chiron is a wide car, at more than 2.0-metres, and it’s hard to see the extremities. Visibility rearwards isn’t helped by the installation of a large light bar, the largest in the industry, that apparently basks the interior in a warming glow, and certainly enhances a two-seat ‘cockpit’ feel, but also obstructs the rear view. Surfaces are finished in excellent quality leather or aluminium – there’s an absence of plastics, and where a material looks like a certain material, you can be that it is that material. But because weight reduction is at a premium, the leather isn’t mounted onto soft foamy surfaces, thus leaving the Chiron quite loud. When it comes to infotainment, there is a stereo system and a trip computer only. Sound quality is good but the hi-fi requires input from a mobile device. That saves Bugatti fitting a screen that could look too cheap in a £2.5m car and says that apparently owners prefer it that way.